Dr Kirk-Bayley graduated from St. George’s Hospital Medical School, London. He undertook post-graduate anaesthetic training in major teaching hospitals in the UK including, the Royal London, St. George’s & Brighton in addition to fellowships in Melbourne Australia. 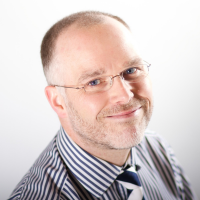 He was appointed as a consultant at the Royal Surrey County Hospital in 2009.In addition to practicing anaesthesia, Dr Kirk-Bayley is an intensive care consultant specialist specialising in looking after patients after major surgery. Dr Kirk-Bayley is an expert in the use of ultrasound in intensive care and anaesthetics and trains people nationally. He is an editor of the Journal of the Intensive Care Society.